#GotitFree Beauty @VichyCanada || Looking for Moisture? Remember when I attended Vichy Lab a few months ago In beautiful Lake Louise? One of the products you asked about on Instagram has hit stores this past week. I’m so excited to share the new redefined Vichy Aqualia Thermal line that’s launching in drugstores across Canada and on Vichy.ca. A line close to my heart, as it was one of the first lines from Vichy I ever tried way back. Testing the new launch had me falling in love all over again. Let’s talk moisture! Formulated with only 20 ingredients of 97% natural origin and 0 controversial molecules, the new Aqualia Thermal is a boost of moisture we all need for summer and beyond! 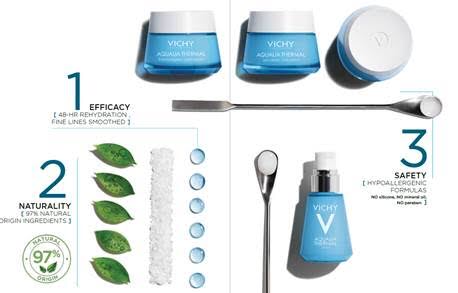 Disclaimer: This Post was not paid by Vichy but sample product for testing was provided. This entry was posted in Beauty on June 17, 2018 by admin.